Some of you probably know about Scrivener, the writer's tool from Literature and Latte. [It] ... has more features than you can wave a bundle of sticks at, mostly oriented around managing, tagging, editing, and reorganizing collections of information including rich text files. I've used it before on several novels, notably ones where the plot got so gnarly and tangled up that I badly needed a tool for refactoring plot strands, but the novel I've finished, "Neptune's Brood", is the first one that was written from start to finish in Scrivener, because I have a long-standing prejudice against entrusting all my data to a proprietary application, however good it might be. That Scrivener was good enough to drag me reluctantly in is probably newsworthy in and of itself. Mr. Stross goes on to discuss the pros and cons of Scrivener and to relate his experiences with the program in more detail. 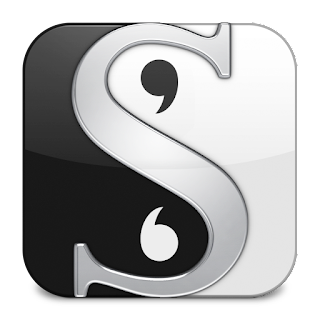 For anyone interested in what Scrivener is and whether it might be the right tool for them, I can't recommend his article highly enough. Here's a link to it: Writing a novel in Scrivener: lessons learned. The program is modestly priced at $40.00 USD and can be downloaded from the web. I've had Scrivener for a a while. I open the program occasionally and tinker with it, this month I even went so far as to use it to hold all my character information for a short story I'm working on. I think I need to bite the bullet and just start using it. Hi Chihuahua, I should have also mentioned there's a trial version. I think it's good for 30 days.